Professionals working with kids will certainly appreciate the important role that the extended family of the child plays. Even the most committed, skilled worker will know that having the support of the extended family makes working with kids far more likely to have positive and lasting results. But what can you do if you do not have the support of the extended family? Is there a way to turn it around? And how do you make sure that a supportive extended family stays that way, and continues to help their child as much as possible? First up, it is worth noting that numerous studies have found that the impact of the extended family has a huge impact on the positive development of the child. That’s not to say that so-called ‘helicopter parenting’ (where over anxious parents hover over every little thing the child does, such as playdates and piano lessons) is good either, but certainly a balance of support, positivity and interest in the child’s individuality is to be encouraged. If you consider any one of a number of ‘reality TV’ shows where children who have been neglected, left to fend for themselves or do not have strong role models get given an opportunity to shine, or a mentor that listens to them, you’ll know what a difference that positive influence has on a child and their development. The sad fact is that, as a professional that works with kids, you will find some parents/carers/guardians a positive influence and others will make your work so much harder. Many of us remember that (not necessarily healthy…) threat from the teacher of ‘do you want me to tell your parents?’ which would of course stop us dead in our tracks and make us behave, but many people who work with kids so that children are no longer ‘afraid’ of being told off by their parents. In fact, many teachers and other people that work with children say parents are more likely to march up to the school and yell at them rather than tell off their child, even if they’ve behaved terribly. Of course, this does not mean that all discipline from previous generations should be celebrated, but it does show that working with kids now comes with an added dimension – how to get the parents to be a positive addition to the child’s long-term development. 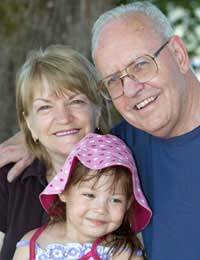 Please bear in mind that for the purposes of this article the term ‘parents’ can mean whoever is the primary caregiver to the child, with the ‘extended family’ meaning all the significant adults in the child’s life, perhaps grandparents, aunts and uncles, older siblings, step parents etc. Engaging the parents is crucial in getting the maximum ‘benefit’ from your work with children. If there is any way that you can engage the parents, you should, as you will find that the support at home will make a huge difference to the impact your work will have on the child. On a basic level, if you imagine a child that you teach piano to for one hour a week, if their parents are encouraging them to practice for an hour every evening, their ability will develop far quicker than a child who is not able to even mention the piano at home without their parents being critical or negative. Extrapolate that example to the variety of professional roles that people working with kids in often very difficult circumstances have and you will certainly appreciate the benefits of engaging the parents to support your efforts. But how do you do it? Most parents that are not supportive of the workers that are involved with their kids are actually intimidated. They would never admit this of course, and would more readily say something critical or embarrassing, but if you can show that you do not think you are ‘better’ than them in some way, and that you need their support, the more likely they are to not feel threatened by you, particularly if you seem more in tune with their child than they do. Ask them to come and see you and talk through what you’re trying to achieve (communicate in a way which is appropriate – don’t baffle them with your technical knowledge for example), if they won’t visit you, make a time when you can visit their home instead. It is certainly challenging to gain the support of some parents when you are working with kids, especially as the behaviour of the parents can make a big impact on the behaviour of the children, but the truth is the reward of engaging with a difficult family for the good of a child that you can see has great potential is definitely worth it.